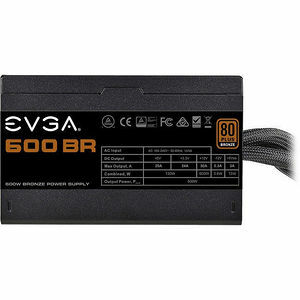 The EVGA 600BR Power Supplies are here. Designed with both beginner and enthusiast needs in mind, EVGA power supplies are the best choice to power next generation computers. Combining 600W of continuous power with exceptional performance, stunning efficiency, and reliable quality, the 600W BR power supply is what you need to build a solid foundation for your next system.